‘O Soniye’ will be theft love anthem from the upcoming movie Titoo MBA releases this Mondaycomposed by dynamic and talented Arjuna Harjai ,under the label Zee Music, Arijit Singh sang to the tunes of debutante music composer Arjuna Harjai & is in all praises for the young talent. We all like it fresh, & Arjuna Harjai, amongst the young talented musicians revives the magic of good soulful music with a fresh new age sound film " in Titoo MBA’s "track ‘O Soniye’ sung by Arijit Singh under the music baton ship of Arjuna Harjai . Arjuna couldn’t have asked for more to have nation’s most loved singer, sing to his tunes & that for his debut movie as a music composer. Arjuna describes his time with Arijit as a fun & learning process & admits to being impressed with the wonderful output of the song . 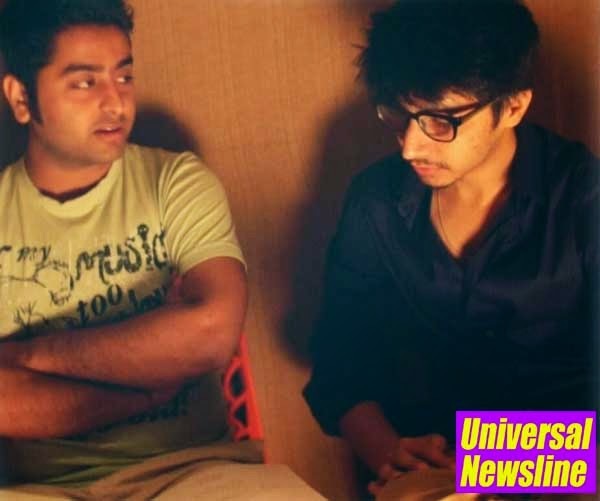 Arjuna recalls the time when Arijit left him speechless, “After we wound up, he happened to tell me "You’re Different’ & that this is the song and the composition which I have been wanting to sing so I personally liked it and I am taking back with me a good experience "We had a great time & he is a willing to experiment like I do and did his job exceptionally well. It is an encouraging for me to have a good jamming session with him too. Arjuna Harjai has worked as a jingle composer for brands such as Cadbury Bournville, Kotak Mahindra Bank, Lenovo, Big Bazaar, Samsung, Maruti, Sprite, MTNL, Lovely Professional University, Ayur, Manhunt, Hillman, Marvel Tea, Lovely Sweets among others under his kitty, Arjuna has also assisted popular music composer Lalit Pandit for over a year on projects like Besharam as well. ‘O Soniye’ releases Monday under the label Zee Music.